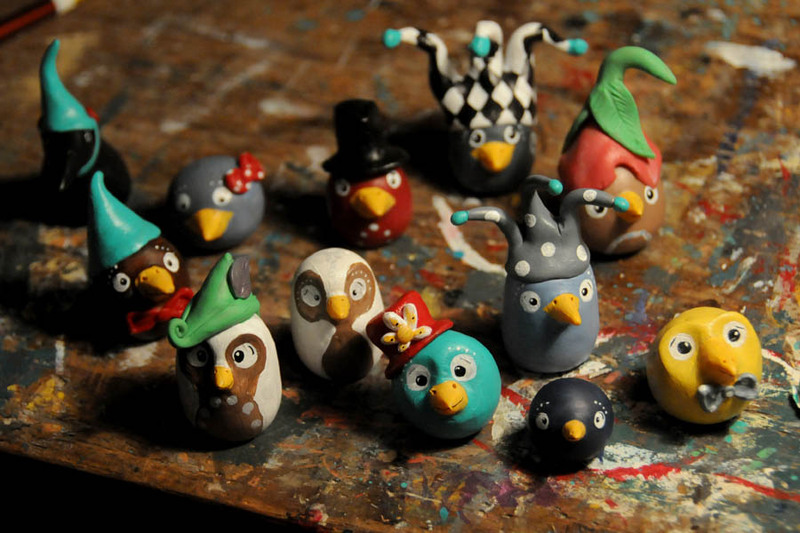 I have done small birdies and a couple of snails. They are mostly a little over an inch tall. I have done some with sculpted eyes and some with painted. 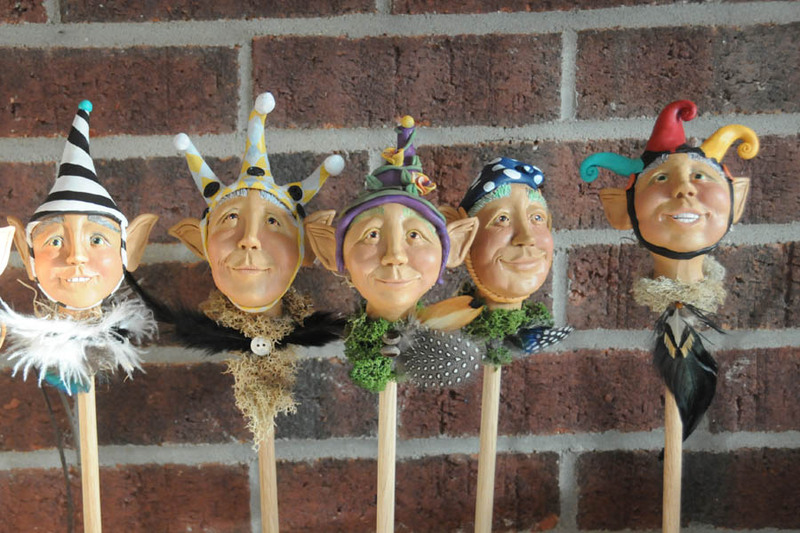 I think I will stick with the painted eyes because they have a similar spirit to the paper mache birdies I was making. They are each going to get their own little tag with a name and number. Here are a few of the new Bloomingstackers too! I love these! I want one! OH MY GOSH really? 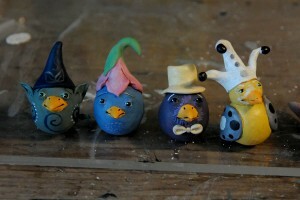 I really want the brown owl looking one with the turquoise hat! yay.